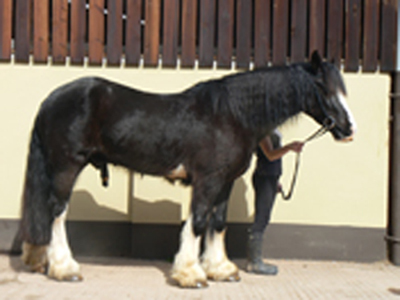 One of the many services we offer is the re-schooling of horses and ponies. Below are just a few of the success stories we have to date. Visit our commendations page to find out what their owners had to say about the service they received. Darky came to boot camp as his owner had struggled to get him out in the winter months and they were both developing some bad habits. On the day he arrived he was lunged and worked hard and once looking tired enough Zoe got on him. He was well behaved but there were some issues that needed ironing out. For the next couple of days he was schooled, and we asssured him that the leg does mean go and he also has to go where we want to go and not where he fancies. Then we started to hack him out firstly with another horse then on his own as this is what his owner wanted to do with him when she took him home. Each day Darky improved and everyone enjoyed riding him. His owner came and had her first lesson in quite a few years and was quite nervous as everyone was winding her up telling her I would have her jumping with no stirrups. 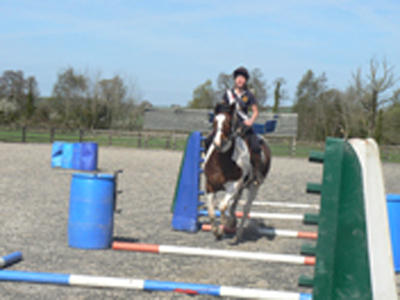 There were no jumps and all I did with her stirrups was put them up a couple of holes so that she was better balanced. Daisy arrived at the same time as Darky. She was a big girl and knew how to use this to her advantage. Day 1 she was lunged and worked hard. When we felt she was tired enough, we put a rider on her. She was much harder work than Darky and a lot more opinionated. The leg meant nothing to her and if she wanted to go in a certain direction off she went. But each day she improved and started to move away from the leg. We also did a lot of hacking out with her and cantering in a field with another horse to try and get her thinking forward. There was a real improvement and it was time to teach her to jump. This was Rosie’s turn, she joined in on one of our fun jumping clinics with some other baby horses (and riders) and loved it and was thinking forward….this was a real achievement.